The fact finding meeting is over; you may never hear about the issue again, or the employer notifies you that they have come to a conclusion and you’re called for a follow up meeting. During the meeting your supervisor reads out loud and presents a letter of expectation (LOE); welcome to the performance management stream and the right of the employer to reaffirm the roles, responsibilities and accountability of your position within public service in Yukon. Firstly, a letter of expectation is not discipline. While it may feel like discipline (and trust me I know this feeling, having been through this process), it is not intended to be, nor is it a disciplinary action. A properly formatted letter of expectation should clearly outline the issues the employer has identified that need to be rectified, the changes they would like to see, the timeline for this change and the support and resources for assisting with process. What happens after I receive this letter? This is a shared responsibility; you as a public servant have been advised of your employment expectations and you should seek to meet the mark. It will feel like there is extra scrutiny on you and this is natural and actually accurate, but not in the “I’m gonna get you” way. After an LOE is delivered the employer is watching you, not to note your failure but to ensure your success. It is incumbent on the employer to assist you in meeting the requirements of your position and the expectations that have been outlined. YTG (the employer) needs to provide access to support and resources to ensure you are successful. Bear in mind you are a big part of this success and it is incumbent on you to meet the requirements of your job contract with YTG. As the cliché goes it takes two to tango and for the most part you are the lead in the dance. How long does the LOE stay in my file? As letters of expectation are not discipline they are not part of your file. When it comes to your “file” you only have one and this is held at the Public Service Commission (you can make an appointment to see your file with PSC if you would like to review your public service employment file). Your LOE will be held by your supervisor and will not be in your “file” but will be kept for reference for the timeline provided in the letter. An LOE will be deemed complete at your next PPP (Personal Performance Plan) provided the issues have been resolved and have not continued. Now, if the behavior in the letter continues, this can open up the disciplinary stream (which I will cover in another post). But we all know that this won’t be an issue……..right? Letters of expectation do not always come from fact finding meetings. Employment behaviors can be noted and dealt with outside of fact finding meetings and delivered at the discretion of the employer. Union representation is not required at the presentation of an LOE as they are not disciplinary, however, it is recommended by YTG that if it will be of benefit to the employee YEU representation can be in attendance. As always, if there are questions or concerns call the YEU office at 667 2331 or call me directly at 334 4331, remembering there is a timeline for issues of approximately 20 days, so call early and get the answers. It’s another day at work, everything seems to be going well and it’s shaping up to be a good day. Then it happens; you receive a request to attend a meeting the following day and your supervisor advises that you are entitled to bring a union representative to the meeting! What has happened? Why won’t they tell me what the meeting is about? What are the specifics? Aside from being frustrated that you can’t have these questions answered, being called to a meeting relatively blind is also incredibly stressful. You have been called to a fact finding meeting. Fact finding meetings are a very common and normal occurrence in Yukon Government workplaces. When a supervisor or manager receives a complaint or incident report involving a staff member, they are required to investigate – this means they need to talk to you and get your version of the incident or event. If you have been asked to such a meeting, you must attend. The fact finding meeting is based on the premise that there has been a problematic event or incident of some kind. The employer needs to ask questions to determine what happened. You might not be directly involved; you may have witnessed the incident or have information that may help to make the situation clear. These sessions are not meant to be punitive, but should offer space for an open and honest dialogue on the event being discussed. These conversations can feel incredibly stressful for the employee and may feel like a cross examination, but that is not the intent. Your union representative will be there with you to protect your rights. Why do I need a union representative? It is incumbent on the employer to advise an employee of the need for representation if there’s any chance of discipline down the road. Discipline is not always involved, but the employer cannot deny a member representation then dole out discipline after the fact; this goes against the principles of the Collective Agreement as well as the principles of natural justice. Why won’t they answer my questions about the event or incident before the meeting? Well, this is twofold; while they may state “we are going to be discussing event ABC” they cannot discuss the actual event outside the meeting. Firstly the employer would like to see unchecked, honest reactions to the questions posed. Secondly if the employer engages in this conversation it may be construed as part of the fact finding session when the employee has not yet had an opportunity to secure union representation. These meetings are usually less than an hour long, depending on the events and issues at hand. During these sessions the employee, the employer or the union representative can ask for a break to have discussions or sidebar chats. These meeting should be, and for the most part are, very respectful and smooth. What can I say? What can’t I say during these sessions? The intent of these fact findings is to bring the facts to light. The employee is responsible to be open, honest and accountable. Your union representative is there to protect your rights and ensure proper process is followed, but they are not defense attorneys and will not be using legal gamesmanship to avoid the issues at hand. This is a meeting about FACTS, not about what you may think of a situation. Avoid deflecting accountability by drawing others’ poor behavior into the conversation. The employer may ask what others thought or said, but you should avoid commenting on how you believe others may think or feel about the incident or parties involved. Do I get to have my say in the meeting? Of course – this is not a one sided barrage or cross examination. During the meeting you will be asked several times if there is anything else you would like to add. This is the time where pertinent items to the event can be offered if they have not been addressed in the questioning. This however is not the time to deflect accountability, point out others’ poor behavior or inject supposition or rumor into the meeting. Your additions should be factual, pertinent and meaningful. It is also likely that the employer will have investigated the issue by chatting with other employees named in the event. These sessions are confidential and private, and employees are advised not to speak about these meetings outside of the HR/union/supervisory pathways. How do I get Union representation? Call 867-667-2331 as soon as you’ve been notified of the meeting, and ask for the intake officer. They will ask you for the meeting time & location and ask whether have any idea what the meeting may involve. Once this information is collected, YEU will make a call to the Shop Steward group to see who is available to attend your meeting. Once the Shop Steward has confirmed their availability, the Steward will contact you to discuss the process and answer your questions prior to the meeting. Some Stewards will contact you well ahead of time while others, depending on time of notification, may make arrangements to speak with you just prior to the meeting. What can I expect once the meeting is over? Timelines are usually established at the end of the meeting. Your supervisor or the HR Representative will notify you of the timeline and might advise you that another meeting will be requested if more questions arise during their follow up. Generally, the post-meeting fact finding time is one to two weeks. What will happen to me? This depends on the incident and your role in what transpired. One possible pathway is the performance management stream, another is discipline. I will cover these topics in an upcoming performance management and discipline article on the blog; keep an eye out and have a read. Remember, fact finding meetings are a normal part of any workplace and your YEU representatives are there to support you through these meetings. 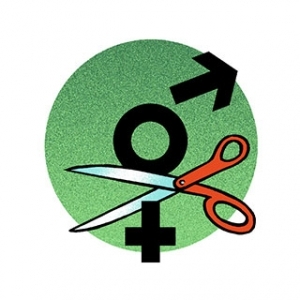 Isn’t it Time for Gender Free Union Solidarity? Feeling silenced? As a public servant, how outspoken can you be during this campaign? This Federal Election is unlike any we’ve seen before. It’s the longest campaign ever but it’s also taking place during something of a communications revolution. Sure we had Facebook during the 2011 Federal Election but we hadn’t yet hit the user density of today and we hadn’t yet heard of things like Snapchat & Vine. Few Yukoners were tweeting in 2011 and we still naively believed that our privacy settings guaranteed us some degree of…well, privacy! A lot has changed. Most of us are skeptical about how private our posts are, and we should be. What we say online in our off-work hours can have a profound negative impact on our careers. The recent suspension & subsequent retirement of scientist & public servant Tony Turner after his protest song Harperman went viral is a case in point. To be fair, it’s not only public servants who are felled by their online activities; in this election we’ve witnessed a never ending parade of disgraced candidates whose tweets and status updates have made short work of their political aspirations. Bruno Thériault, director general of Justice Canada’s workplace branch recently sent a memo to the employees in his department. The memo, heavy handed and intimidating, sends the message that public servants should avoid using social media altogether during this election. 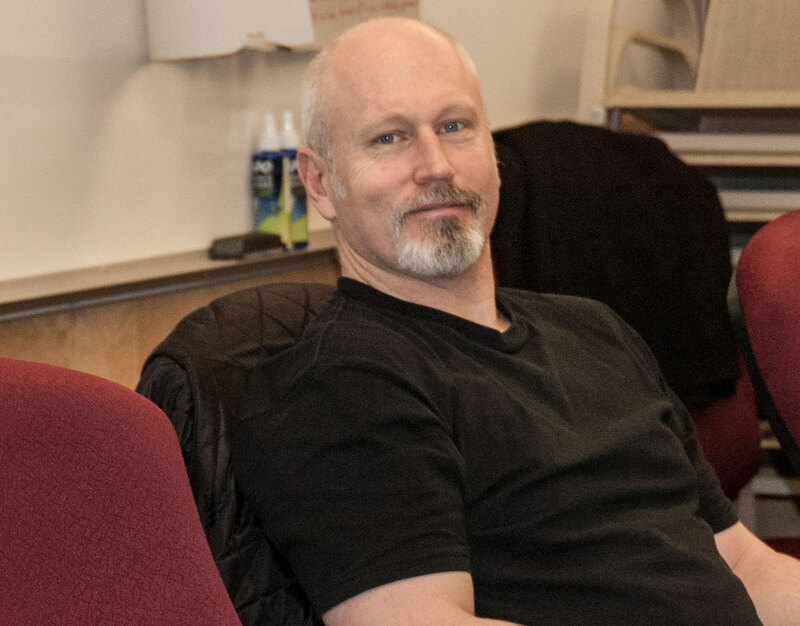 “Recent memos being sent to federal public service workers seem designed to discourage our members from exercising their legitimate rights”, says Robyn Benson, president of the Public Service Alliance of Canada PSAC). Read Ms. Benson’s blog post “We shall not be zipped” here. Union members and all employees have a right to freedom of expression protected by the Charter of Rights and Freedoms, even if they work for the federal government. Expressing political opinions or sharing political content on social media is a form of political expression and is protected by the Charter. Online political expression does not benefit from any greater or any less protection than other forms of political expression. You have the right to share political content on Facebook, Twitter or other social media accounts as long as you do so outside your hours of work and you don’t use the employer’s equipment. These rights are not absolute, so please consider the following carefully before you post, share, or tweet. 1. Don’t identify yourself as a government employee or include information or comments that suggest you are a government employee. Make sure your social media profiles don’t list your place of work or employer. 2. Consider your level of visibility and influence. Are you a supervisor? A public face of your organization? 3. Are you a union representative? Union representatives have greater freedom to engage in political activities however union representatives cannot make any comments about their employer that are reckless, malicious or dishonest. So what’s the bottom line? Speak your mind, have an opinion, engage in the democratic process and be involved. While you’re at it, be wise, prudent and circumspect. And above all else, VOTE. Self censorship is only necessary in an atmosphere of mistrust and fear. Elect a government you do not fear. Why Are YOU Voting This Year? In the 2011 Federal Election, only about 61% of Canadians went to the polls. Stephen Harper & his Conservatives were able to claim a majority victory and form Government with only 41% of the vote, which translates to about 25% of the population of Canada. That’s not a real majority in any sense of the word. If an election is decided by those who choose to show up, it’s equally true that the outcome can be decided by those who choose to stay home. Choosing not to vote does impact election outcomes; in fact it’s often the same as casting a ballot for a party you don’t support. Taking the time to educate yourself may feel like a hassle but voting is a right that many have struggled to gain. Whether or not you believe your vote matters on the national scene it surely matters in the Territory. Ryan Leef was sent to Ottawa on the strength of 131 votes. Those 131 votes made a huge difference. In our small Yukon riding even a very few individuals can have a profound impact on the outcome of an election. In October of 2015 we urge you to vote. Who gets your vote is up to you; we hope you ask tough questions and consider the good of working people and families, of the environment and the social fabric that we hold dear as Canadians. We also hope you take the time to review the platforms of the candidates and their parties. 41% of Canadians should not carry the future of this country. It’s up to all of us to join in and move Canada forward. Look for YEU at the Fireweed Community Market Thursday afternoons in August; we will have our voter registration kiosk set up. 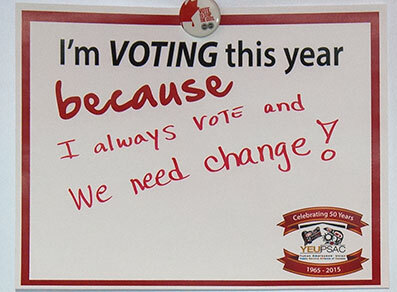 Not sure if you’re on the eligible voter’s list for the 2015 election? Please stop by and check. More than 50% of those who stopped by on July 30th discovered (to their shock) that they were NOT registered, despite having voted in many previous federal elections. It’s worth checking out. If you won’t be at market, make sure you visit www.elections.ca and check for yourself. Enumerators are NOT coming door to door this election to make sure you’re on the list… it’s up to YOU! Download the poster and print it out for yourself. Why are YOU voting?